My Twitter feed this weekend has been blowing up with all the great learning going on at ISTE2014. Sadly, I was not at ISTE. But that has not stopped me from learning a great deal from all the educators who are attending and presenting, thanks to the power of the hashtag! I was pretty intrigued by this, so I went to researching the idea. I found this PDF from GenYes, which gave a lot of information about it. I played around with the idea, considered how we might fit this into our school within our current student leadership opportunities, and now plan to pitch it to my principal after I have it a little more planned out. What a find! 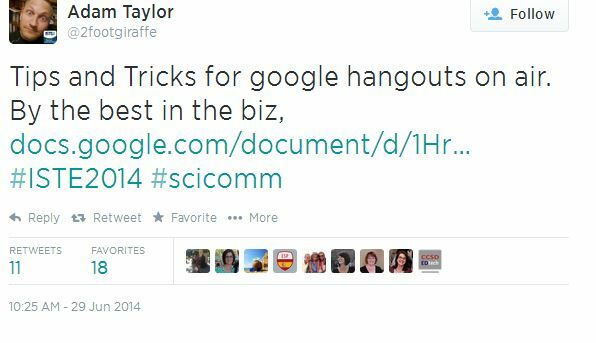 This tweet from @2footgiraffe includes a Google Doc with lots of great GHO tips. I have a planned GHO coming up in a couple of weeks, and this will surely come in handy for me. So someone tweeted “We are building the ultimate word wall on Padlet”! Clicked on the link, and saw this amazing set up! What a treat for teachers to be able to use what is here, and then become inspired to build their own! 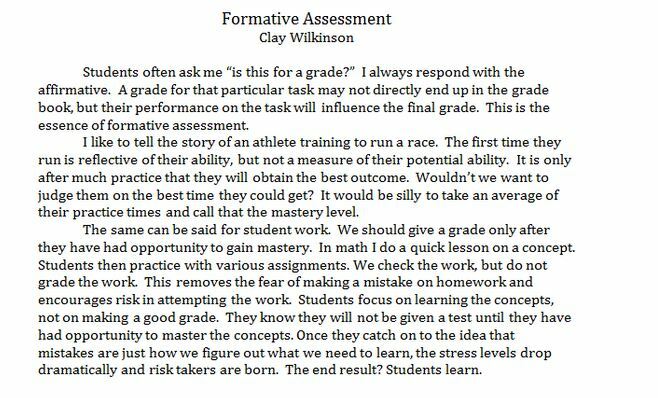 I will definitely share this with teachers on my campus next year. Saw this tweet below from @chadkafka and WOW! What an awesome way to curate tweets!! 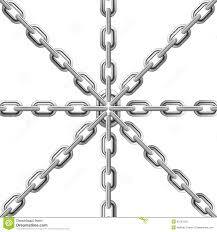 I used if for this blog! (IFTTT stands for If This Then That). 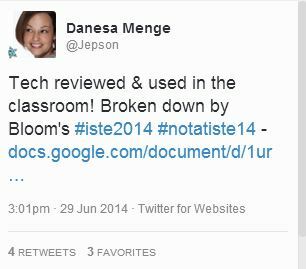 This handy Google Doc tweeted by @Jepson contains loads of technology platforms and they are aligned with different Blooms levels. Very handy sheet if someone asks, “What technology would be best to use with ______”. Saved to my drive. I discovered this board which is being populated by many ISTE attendees. I have only skimmed this, but I am planning to spend a day next week going through all the curated material loaded onto it! I have so many more resources saved, and I will share them out as I go through them. All in all, I have had a very productive time the past couple of days as I learn a lot of new things while #NotAtISTE14. Now, if you are wondering about that hashtag….it is for all of us who could not attend –but wanted to feel like we were a part of it. We were even invited to participate in various giveaways by event sponsors, and @CraigYen even set up a Google Hangout for anyone who wanted to, well, hang out! 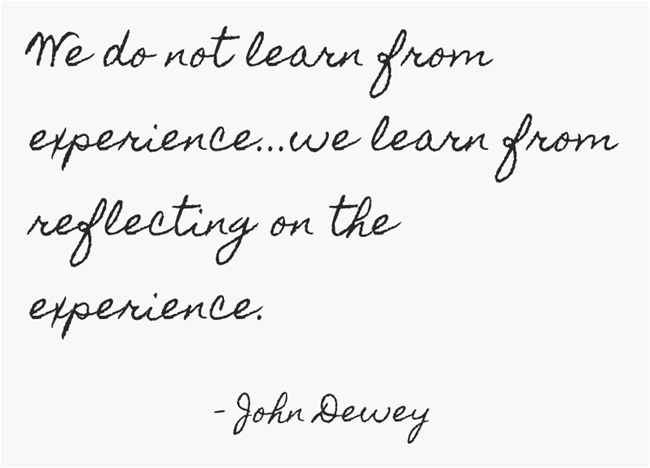 As far as a learning community goes, it just doesn’t get any better than your Twitter PLN. The tweet below from @JanRobertson sums it up pretty well. 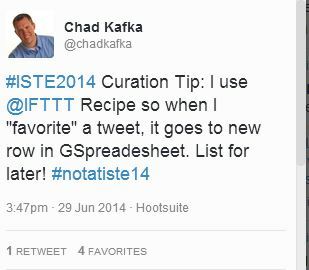 I hope you will join us Monday for more learning at #ISTE2014 and #NotAtISTE14 via the hashtags ! Please share your conference hashtag experienes in the comments below!